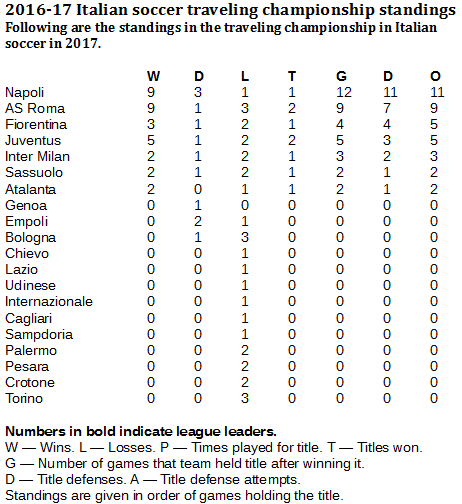 With a title and 11 defenses at the end of the year, Napoli surpassed AS Roma for Team of the Year in the Italian soccer traveling championship. Juventus, which dominated with 25 games of championship possession a year ago, slipped to five games this season. 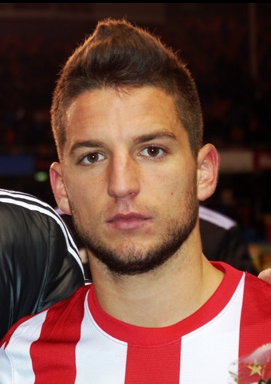 Dreis Mertens scored 28 goals this season for Napoli, including his 50th career goal for the Neopolitans on the final day of the season (Anders Henrikson/Creative Commons Attribution-Share Alike 2.0 Generic license). Napoli won its first Italian soccer championship on March 4 and rode it out to the end of the year, rallying for Team of the Year honors. The Neopolitan side won out against AS Roma, which won its first two titles in 2016-17 and defended them a combined seven times in nine tries. But that didn't match Napoli, which has defended its title 11 straight times and still holds the Italian crown entering the 2017-18 season. Juventus, which dominated the Italian traveling title competition in 2015-16, won two titles this past season. 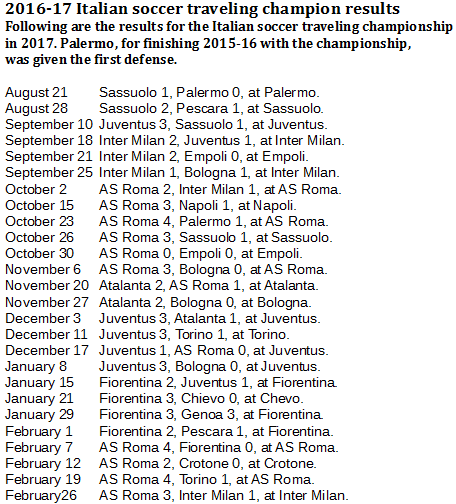 However, Juve couldn't sustain defenses either time and held the title for only five games after holding it for 25 games a year earlier.